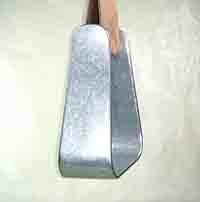 $7.95 - No matter how many stirrups you order ! To make your purchase, click on the button to the right of the price of the stirrups you select ! Click on Photos to see a larger view ! For maximum stability and performance, all stirrups are designed to accept 3 inch stirrup leathers and are 3 inches deep excluding the thickness of any covering. 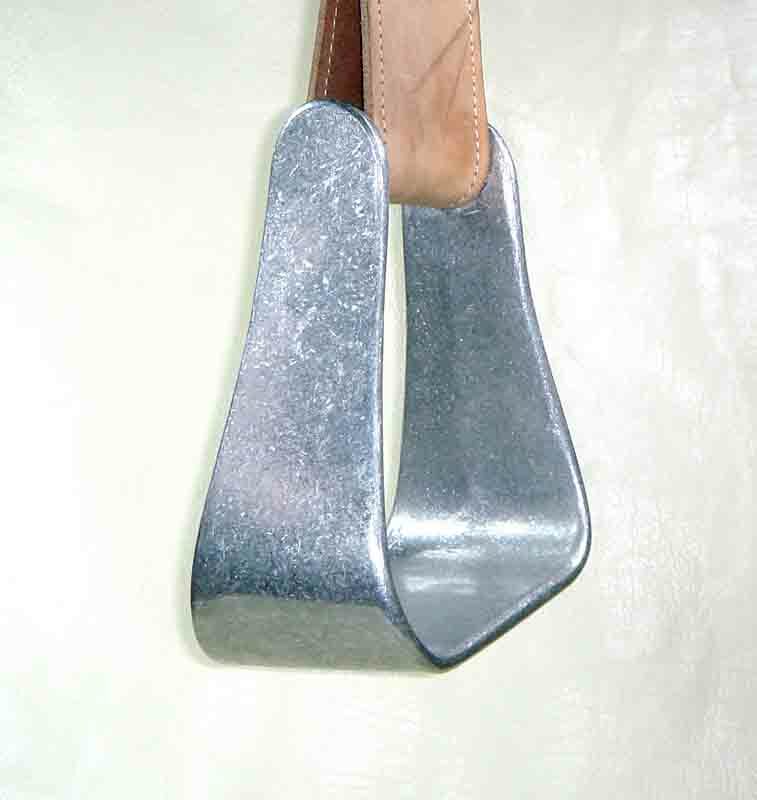 All stirrups are sold in pairs. Crooked Stirrups® stirrup rods are manufactured to accept stirrups leathers and do not require the use of a hanger rod cover (swivel cover) which adds bulk and reduces the efficiency of the stirrups. 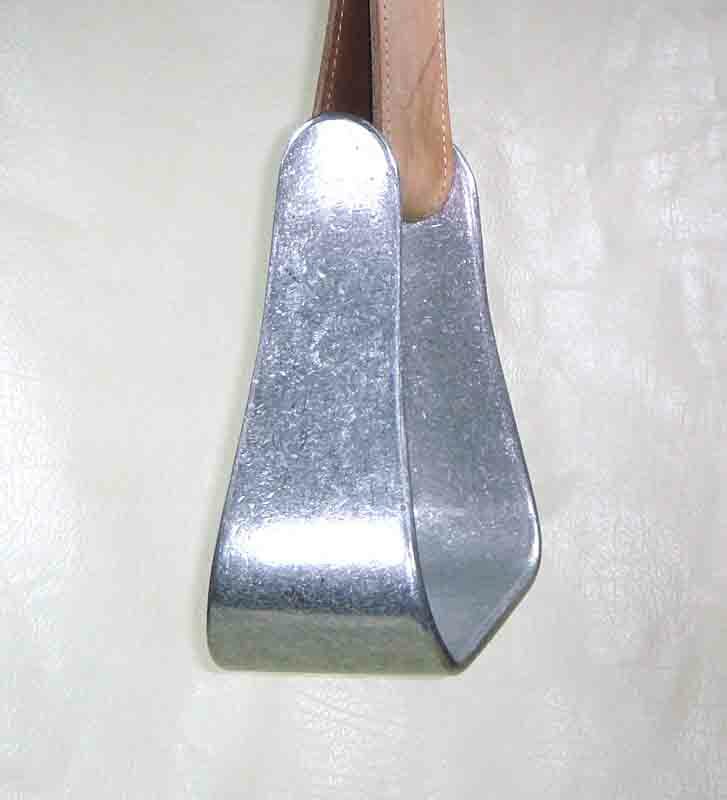 Because of the increased stability and surface contact, Crooked Stirrupsâ angled riding stirrups do not require the use of tread covers that wear out and have to be replaced. 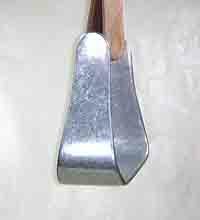 ECONOMY - Original Hammered Finish™ Made in the USA ! 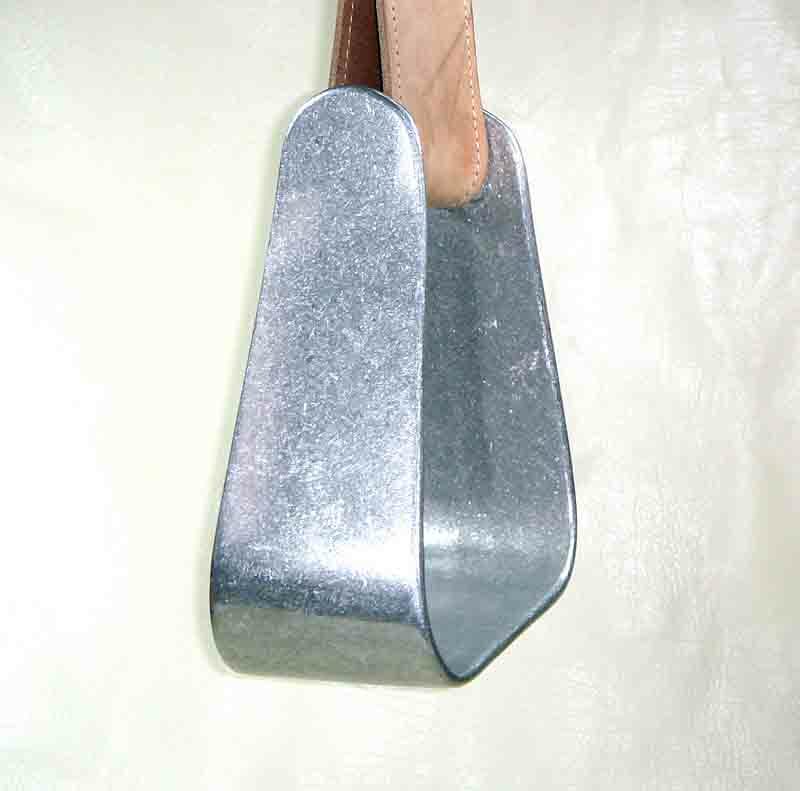 Economy stirrups, easily identified by a finish we call “Hammered Finish™”, are put through a special tumbling process to produce a polished textured surface that reduces the visibility of dings and scratches. is like outside of the arena. E-BR (Barrel Racing) The Crooked Stirrups® Barrel Racing stirrups known for reducing lost stirrups, increasing balance and controlling excessive movement in the saddle. Used by many top barrel racers. Recommended Boot Size 5 to 10. E-AA (All-Around/Team Roping) The Crooked Stirrups® All-Around was originally designed as a roper that wasn’t as tall as the deep team roper stirrups. Very popular with all Western Riders, Cowboys and competitors in and out of the arena. E-TR ( Team Roping Deep Roper) The Crooked Stirrups® Team roping stirrups are favorites of not only Team Ropers but all other Western riders who like a deep roper style stirrup. Official stirrups of the Wrangler Team Roping Championships. Recommended Boot Size 9 to 12. DELUXE - Pinged Luster Finish™ Made in the USA ! 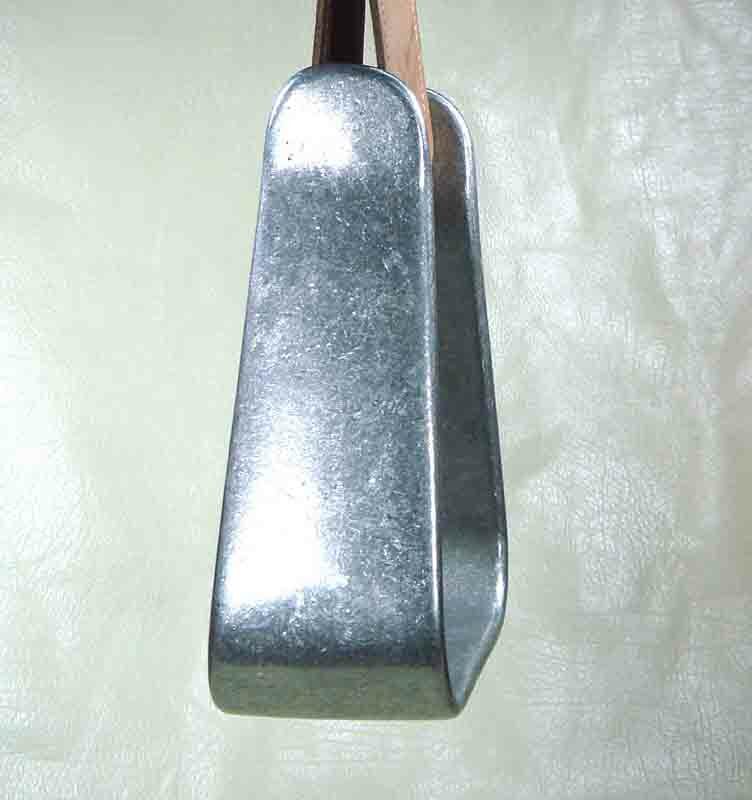 Deluxe stirrups, easily identified by a bright, satin luster, more refined finish, are put through a more intense finishing process to produce a higher quality finish. 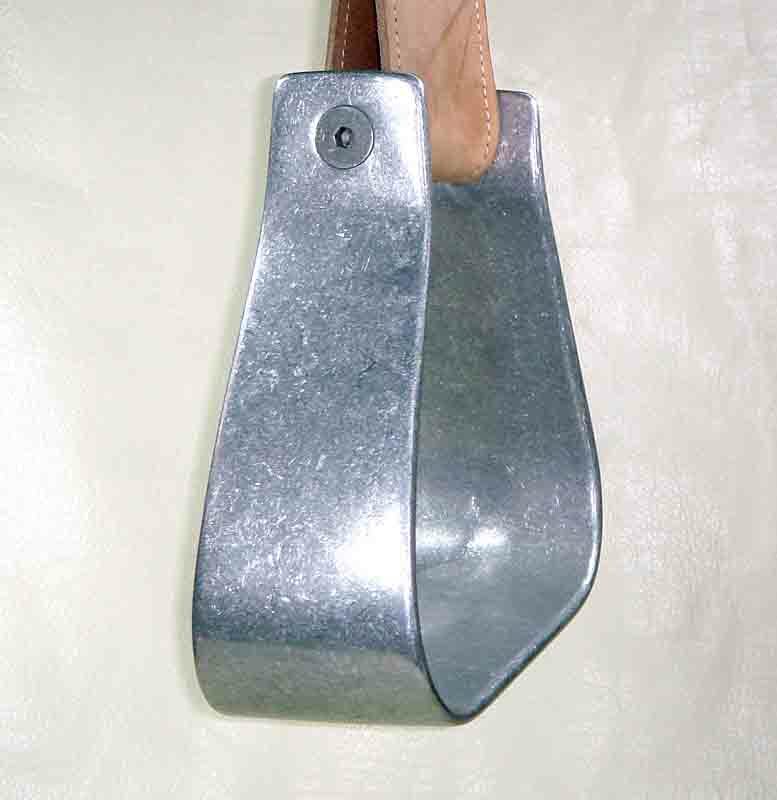 D-WB (Western Bell) The Crooked Stirrups® Western Bell stirrups known for reducing lost stirrups, increasing balance and controlling excessive movement in the saddle. Very popular with “Cutters” and “Reiners” who want a closer contact stirrup. D-AA (All-Around Competitor/Team Roping The Crooked Stirrups® All-Around was originally designed as a roper that wasn’t as tall as the deep team roper stirrups. Very popular with all Western Riders, Cowboys and competitors in and out of the arena. 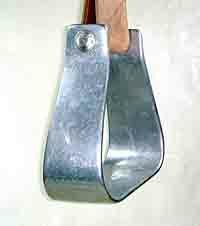 D-TR (Team Roping Deep Roper) The Crooked Stirrups® Team Roping stirrups used by more than 30,000 ropers in the USA, Canada, Mexico, Brazil and Australia. 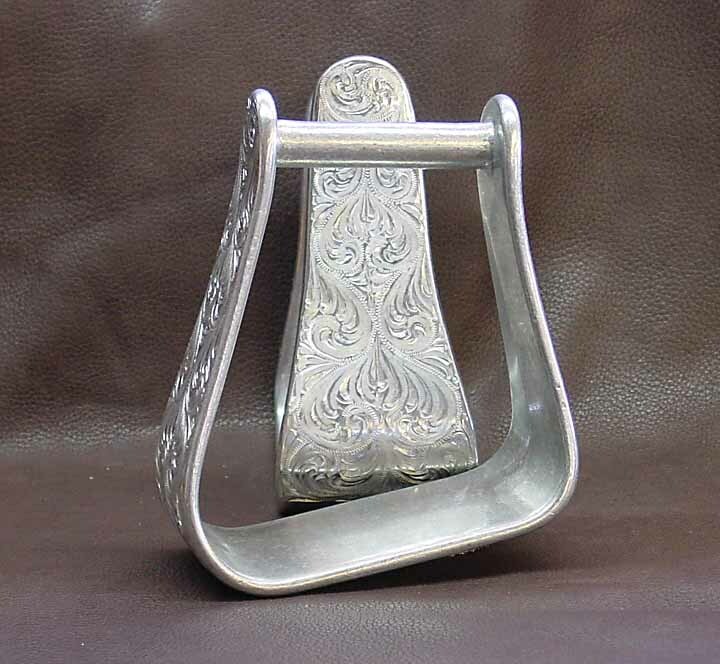 Favorites of not only Team Ropers but all other Western riders who like a deep roper style stirrup with a higher luster finish. D-OS (Oversized) The Crooked Stirrups® Oversized stirrups are made for use with overshoes but work well for fitting a LARGE foot. 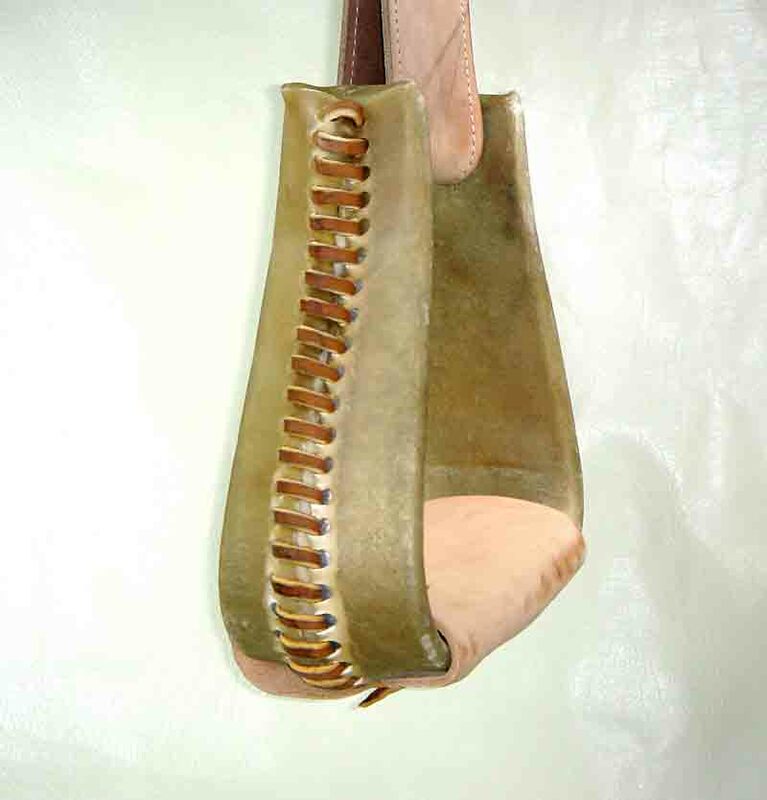 This model is very popular for Steer or Calf Roping where a loose fitting stirrup is necessary for competition. Recommended Boot Size 13+ & overshoes. D-OSC (Oversized / Conchos) The Crooked Stirrups® Oversized stirrups are made for use with overshoes but work well for fitting a LARGE foot. 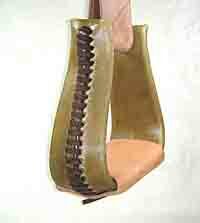 This model is very popular for Steer or Calf Roping where a loose fitting stirrup is necessary for competition. Conchos added. Natural Rawhide Covered (Middle Laced): Made and Covered in the USA ! Four sizes of Crooked Stirrups® angled riding stirrups covered in high quality, natural rawhide and laced in traditional fashion. 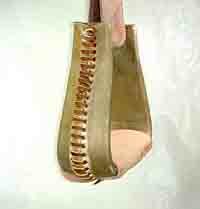 Covered with USA tanned leather and lace and assembled in Alabama, USA. These stirrups are custom made with an Aluminum stirrup skeleton, made especially for covering, that allows the stirrups to remain stable in size and shape unlike any wooden covered stirrups. Recommended Boot Size 5 to 8. Recommended Boot Size 7 to 10. Hand Engraved: Made and Engraved in the USA ! Brilliant, deep hand engraved designs on four of our popular models of Crooked Stirrups® angled riding stirrups.Very popular for show and competition or if you just like some “bling”.Hand Engraved in California, USA. Recommended Boot Size 7 to 12. OEM Blanks: Made in the USA ! Four sizes of Crooked Stirrups® angled riding stirrups specially made for you to cover or have your custom saddle maker cover to match your saddle.Come complete and unassembled with hanger rods, screws and stirrup bodies. Directions included. OEM stirrup blanks are rough, unfinished, need to be assembled and not suitable for use without covering. Please use this section and the PayPal button to the right for custom orders. If you need your order shipped to an address other than your billing address, please make sure you edit the ship to address on your order or email us with your changes. Please make sure you supply a street address. We ship UPS. We do not guarantee delivery when shipped by USPS to a PO Box address. 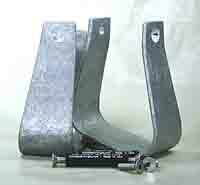 Crooked Stirrups®angled riding stirrups have a Lifetime Warranty against breakage. Return Policy: Satisfaction of our products is guaranteed. Products may be returned by the original purchaser, in unused condition, for a full refund, minus any shipping/handling charges we may have paid, within 14 days of your receipt of the products and MUST be accompanied by your PayPal purchase receipt. Please contact us at 254-796-1970 for return authorization and shipping instructions BEFORE return. ©2000-2011 CrookedStirrups.com, all rights reserved.